In a few days the Fiji Cabinet will take up the issue of shark conservation (we hope). And you can help support a positive decision. Go grab a marker and a piece of paper and use your webcam to snap a photo of yourself holding a message for the people of Fiji. 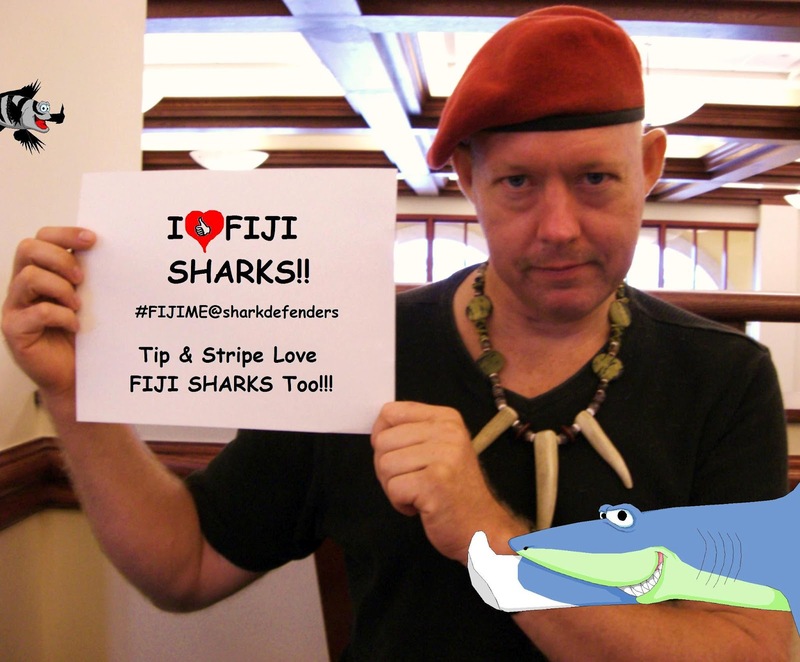 Mark your message with #FijiMe and @SharkDefenders, then post it to Facebook, Twitter, Pinterest, and on your blog. Then email it to us at info@sharkdefenders.com and we'll post it to the Fiji Shark Defenders Facebook page (by emailing us the photo you give us permission to use it). Shark Defenders has teamed up with our partners the Coral Reef Alliance, Pew Environment Group, and Fiji Department of Fisheries on the Fiji Shark Sanctuary Campaign since February 2011. Fisheries has been working on shark protection legislation since 2009. Please take a few minutes to show your support. Oh, and we'll send a Fiji Shark Defenders t-shirt to the people with the best photos. And what do you think of the photos sent in so far?